Summer is fun, but it can get expensive. Luckily, there are so many great events, amenities and activities that can be enjoyed for free in Hendricks County. Here are a few of my favorite, go-to places to fill up on summer fun without emptying the bank account. 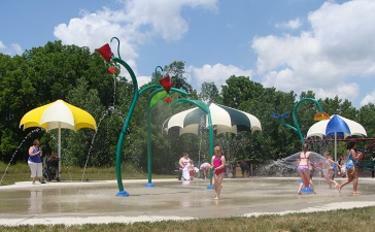 Hendricks County is home to such an incredible variety of parks that offer free fun, every day. These quick links to: Avon, Brownsburg, Danville, Plainfield, Pittsboro and Hendricks County Parks are all great places to find information about upcoming opportunities. Last year, I wrote about my love for these parks and the simple summer fun they provide. The sentiments expressed are still true. You can check that out here. Through the collection of parks we are lucky to have in Hendricks County, we can walk, run, ride and hike for miles. Fishing ponds, basketball courts, disc golf, volleyball courts, playgrounds and creeks can be found. Although my kids are a little past the age of spending any considerable time at a splash pad, they aren&apos;t too big to appreciate the chance to run through the cool water after a hike or competitive game of basketball. Splash pads are a great amenity because of how easily accessible they are and because you can stop in for a quick trip or stay for hours. I need that kind of flexibility in my life. Hummel Park - 1500 S. Center St., Plainfield. Open daily, 11 a.m.-7 p.m. The Watermill at Williams Park - 9040 S. Locust Lane, Brownsburg. Open daily, 10 a.m.-7 p.m.
Washington Township Park - 435 Whipple Lane, Avon. Monday - Friday, noon-8 p.m.; Saturday and Sunday, 10:30 a.m.-6:30 p.m.
Few things beat a starry, summer sky. 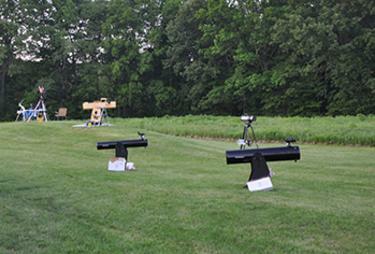 You&apos;ll have two chances to learn more about our solar system and identify constellations in the night sky when The Indiana Astrological Society hosts star gazing events with Avon Parks and Recreation and Hendricks County Parks and Recreation. Avon Town Hall Park - 6570 E. U.S. 36, Avon. Friday, June 17 at 9 p.m.
McCloud Nature Park - 8518 N. Hughes Road, North Salem. Saturday, July 9 from 9:30-11:30 p.m.
Toddler time, arts and crafts, teen activities - our public libraries have something to offer kids of all ages. These activities and groups encourage kids to continue to read during the summer months, make new friends and learn something new. Plus, they have a lot of fun. Visit these links for location information and to check their events calendar: Avon-Washington Township Public Library, Brownsburg Public Library, Danville Public Library, Plainfield-Guilford Township Public Library. I really find it extraordinary how many free activities and events are offered at these awesome libraries over the summer. One specific event really caught my eye... Grown-up Game Night at Brownsburg Public Library. Adults get to have all the fun on July 13 from 6-7:30 p.m. as the library hosts an evening of cards, board games and even video games. Games, music and snacks will be enjoyed on the porch at the library. Come play a game or two with fellow community members and make some new friends. The Hendricks County Historical Museum, 170 S. Washington St., Danville, is a great place to visit this summer. 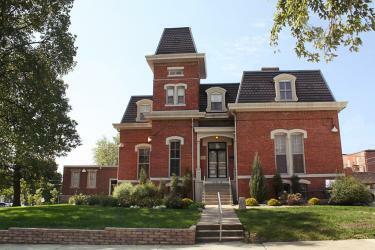 Originally, this charming 1877 building served as the sheriff&apos;s residence and county jail. Now, it serves as the home for historic collections that preserve and display the heritage of Hendricks County. I like that this museum is unique enough to hold the attention of little ones and yet it&apos;s pleasantly simple - no big parking and entrance fuss - and you won&apos;t need to commit a whole day for a visit. The Hendricks County Historical Museum is open every Saturday from 11 a.m.-3 p.m. and admission is free though they do except donations. I&apos;ve only recently learned about this new indoor play area and community center at The Well.Community (a Church of Christ) - 330 N. Green St., Brownsburg. The center is free and open to the public on Mondays, Wednesdays and Fridays from 9 a.m.-1 p.m. and 5-9 p.m. The center is a great place to beat the heat or get the kids out on a rainy day. You&apos;ll find a toddler area, basketball, climbing area and lots of seating areas that are perfect for teens to gather or to sit and enjoy a snack. I have found that the best way to keep current with center information and updates is to check their Facebook page. This is an awesome new attraction in Hendricks County that I&apos;m sure will be enjoyed by many this summer. Every year, the Royal Theater in Danville hosts a free summer movie series. These (slightly older) films are shown at 10 a.m. and 1 p.m. on Wednesdays. The next movie up is Minions on June 22. Click here for a full list of upcoming free movies. 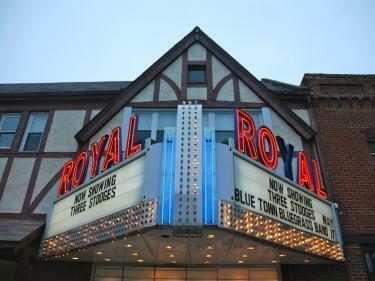 We are fans of this summer activity because it gives us a break from the heat, and we love the Royal Theater. Plus, concessions are cheap and delicious. Everyone&apos;s happy. Make sure you arrive early to get a seat - it&apos;s first come, first serve. Oh, how I love a good festival. Summertime in Hendricks County is the start of our impressive festival season. Be sure to check back here on the blog so you don&apos;t miss any of them. Recently, two events were featured on the blog that I immediately put on the calendar for my family. Hendricks County Rib-Fest AND Balloon Glow. How exciting is it that these two super popular events from last year will come together this year? This is sure to be a big event that you won&apos;t want to miss. Mark your calendar for June 25 and get all the details here. Lots of free music can be found all over the county, all summer long. I consider this another great luxury. An evening or afternoon enjoying live music outside, for free? It doesn&apos;t get any better, folks. You can learn all about the locations and dates for free music this summer here. I&apos;m really looking forward to the Brownsburg Street Eats - Food truck rally during the Summer Concert Series at Arbuckle Acres Park in Brownsburg. Free music means I won&apos;t feel bad about buying a little bit of everything from the food vendors. Yum. Summer always seems to pass too quickly. I&apos;m so glad I live in a county where so many great activities and events are so often and readily available for my family to enjoy. Being free makes them even better. Have a great summer!